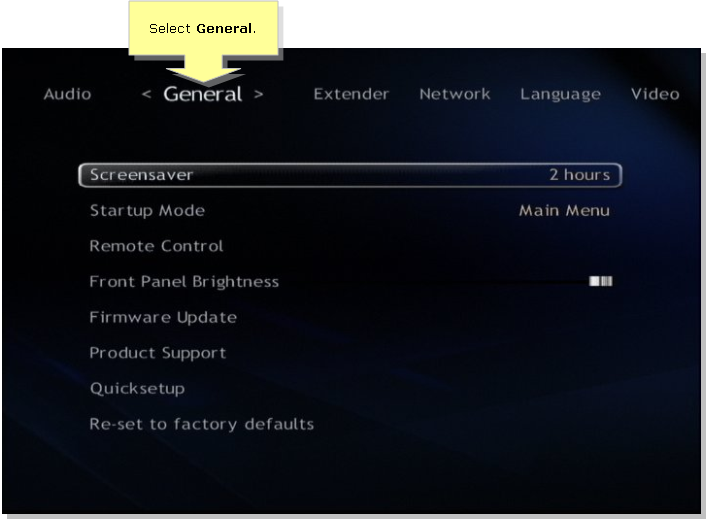 When the Main Menu appears, select Settings. Press the right arrow on the remote and select General. 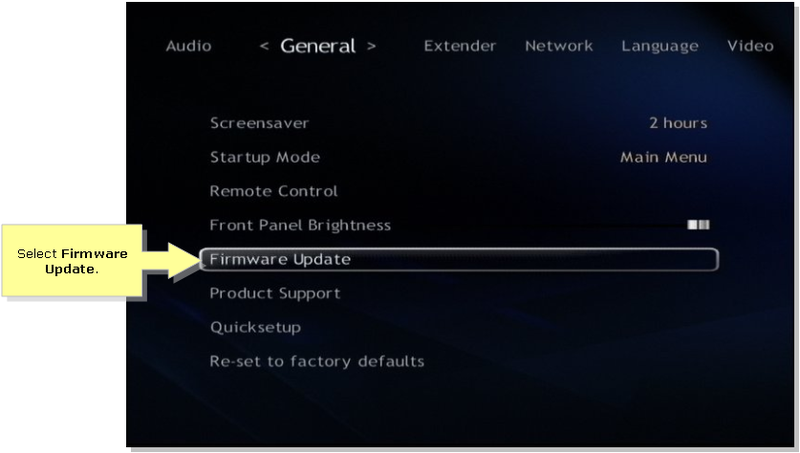 Use the up and down arrow on the remote to select Firmware Update. 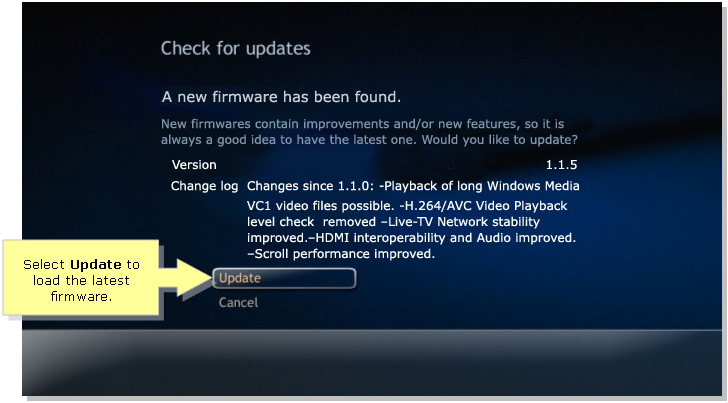 NOTE: You will receive a message No new firmware is available if there are no updates available. 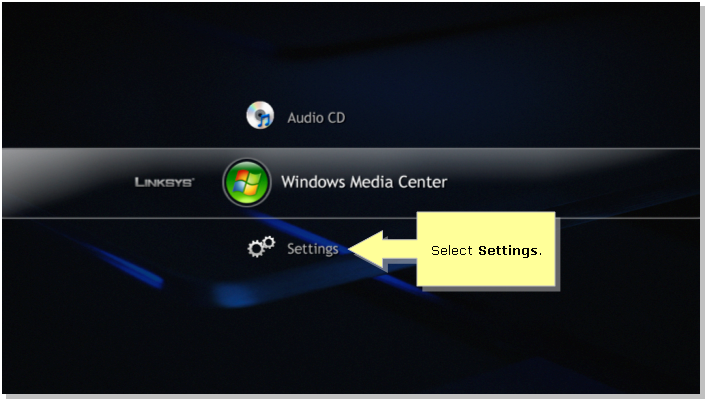 The firmware will now be automatically loaded on the Digital Media Extender. 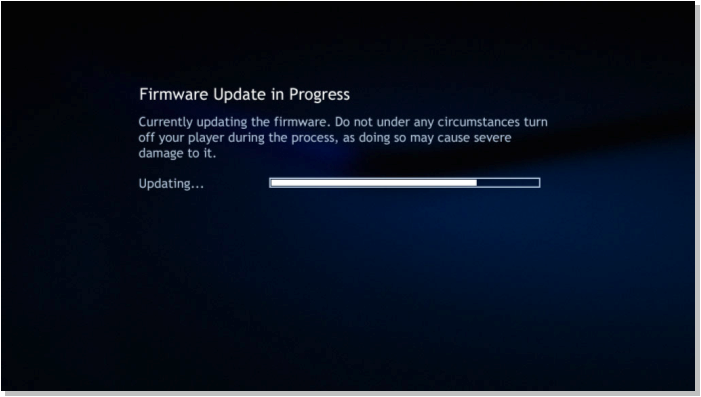 NOTE: Do not turn off the extender when the Firmware Upgrade in Progress screen appears to avoid severe damage. If you experience inconstant connection from your router, check your Digital Media Extender connection. For instruction on how to check your Media Extender’s network, click here. If you have to power cycle the DMA2100/2200 several times in order to enter Media Center mode and want to resolve it, click here for the solution.